It's weekend, so what better way to spend it than making (and eating) treats. 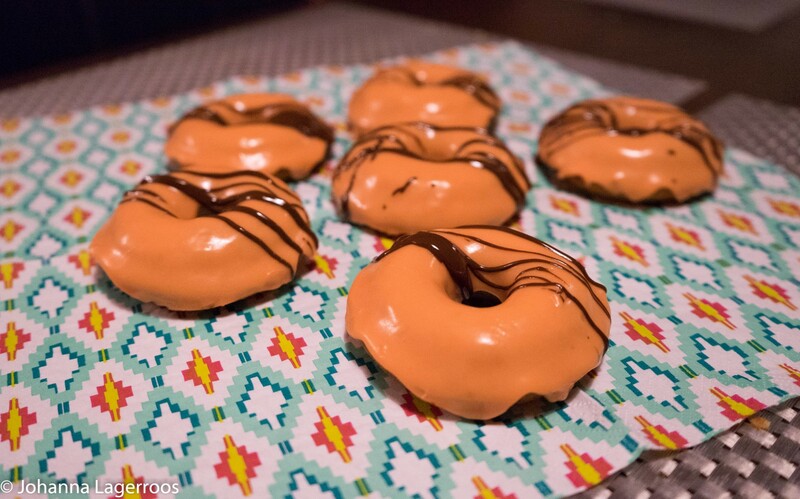 In today's post, I will teach you and easy recipe for cute and tasty Halloween donuts! Mix the first group of ingredients in a bowl. Take another bowl, and mix (and whisk) the others together in that. Combine the two mixtures, and put the dough into a donut pan. Bake at 425 degrees F for 7 minutes or until golden brown (218 degrees Celsius). I made my own pumpkin puree, and funny enough my cat liked it as well (I only used pumpkin in it, which is safe for cats!). 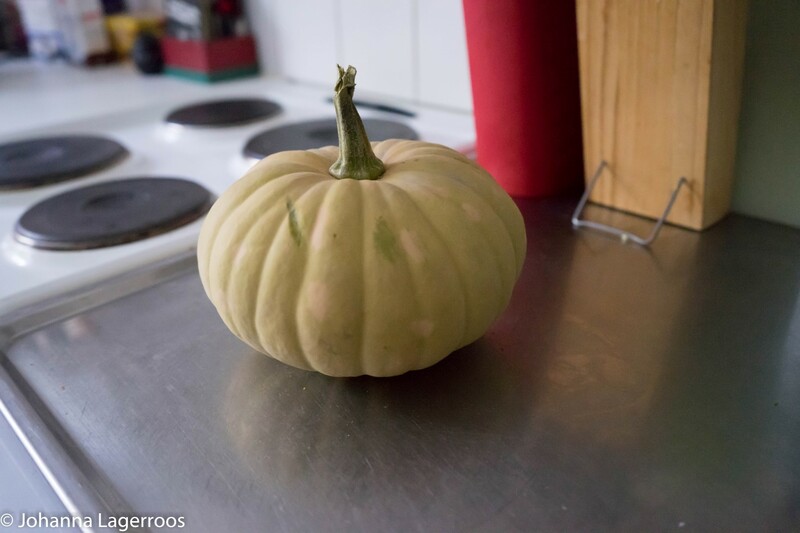 If you are like me and can't find canned pumpkin, just do your own puree. 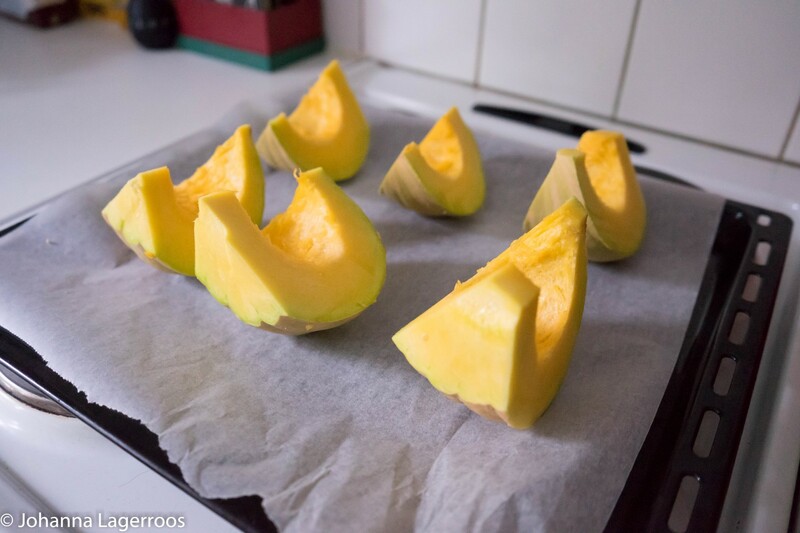 There are tons of recipes out there, I got my guidelines from The Pioneer Woman, but it's basically as simple as roasting the pumpkin in slices in the oven until soft, then scraping it into a mixer/blender and mixing it into a smooth puree. Be careful with the hot pumpkin though, we don't want to get burned! 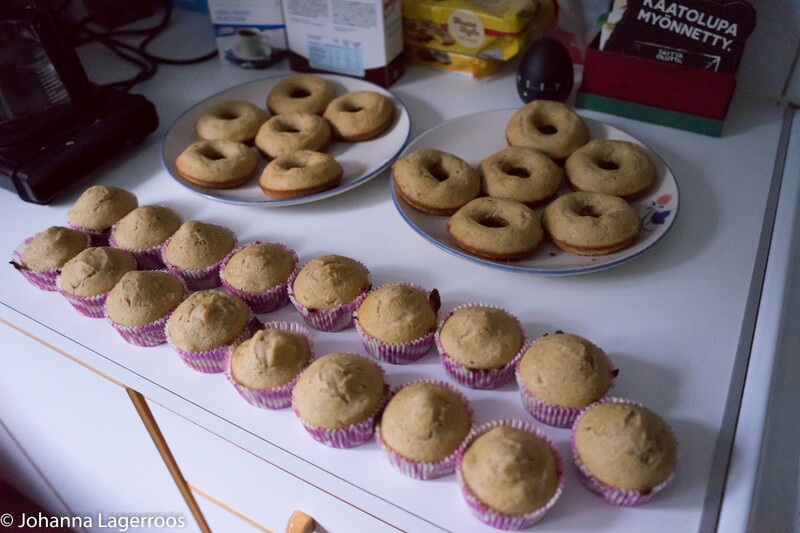 Mix the sugar and water in a bowl, and add either if the consistency isn't right - the frosting should be quite thick, but not too dry so that it spreads nicely on the donuts. Add your coloring and mix it well into the frosting. When the frosting is the color you desire, pour it into a piping bag (or regular freezer bag like I did) and cover the donuts with frosting. 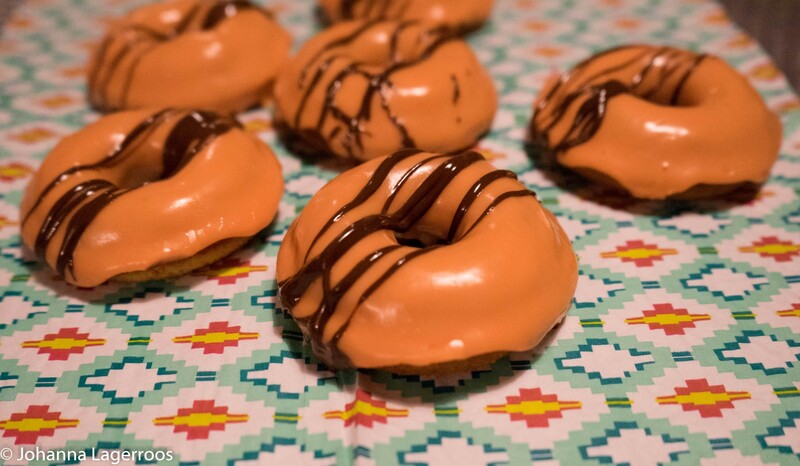 Melt the dark chocolate and drizzle over the donuts any way you want. 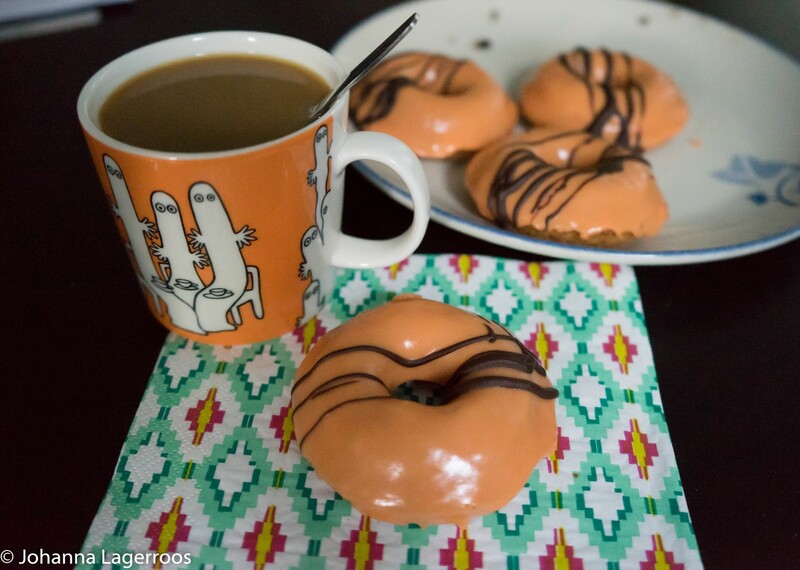 Enjoy the donuts with good company and a beverage of your choice! 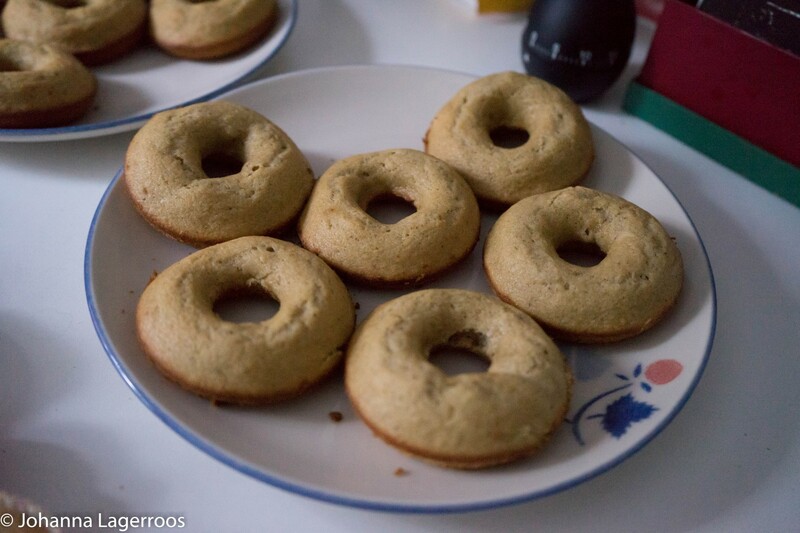 Have you tried making donuts at home? Let me know in the comments! That's it for today, and we'll continue the Blogoween with another Halloween look tomorrow. Any guesses what it is? I'll see you all tomorrow!